Retreat. Jan 13 2017 Ratna Ling - ROBYN ENGEL. 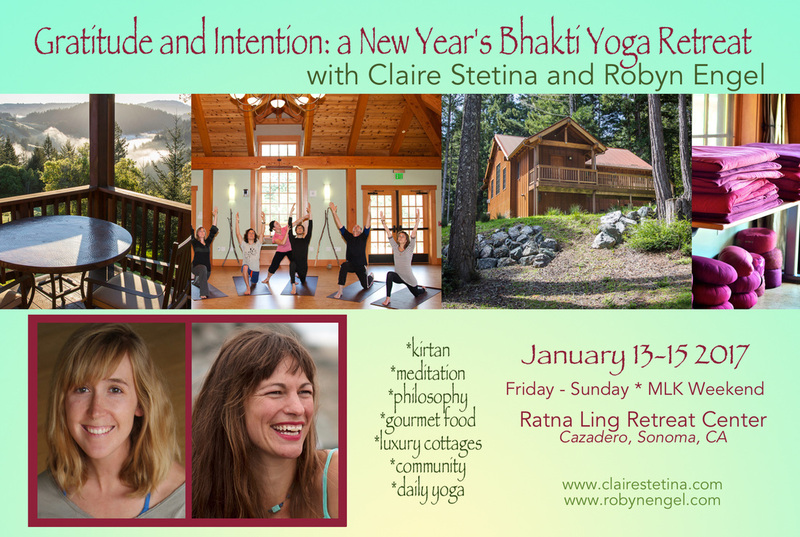 ​Join Claire Stetina and Robyn Engel this winter for a powerful retreat. The time directly after the New Year is an opportunity to initiate positive and palpable change in our lives and to realign with the true Self. Focusing on Gratitude and Intention we will creating space, time and tools to transform through the daily practice of yoga, meditation, chant and community. 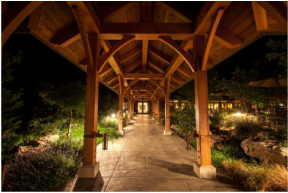 Nestled in the mountains of Sonoma, Ratna Ling provides the perfect setting to rejuvenate, reflect and radiate. 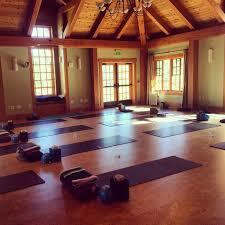 The retreat is at RATNA LING RETREAT CENTER, located in the redwood forests of Sonoma County. Grounded in the Buddhist tradition of meditation, yoga, and spirituality. Ratna Ling truly supports the healing and wellness of body and mind. ​ There is little to no cell reception at Ratna Ling. This retreat is MLK weekend. We hope you can come home from the retreat Sunday and have Monday off as a day to ease back into your daily life, integrating the experiences of the weekend. Each cottage has two bedrooms with a queen bed. The shared space of the cottage includes a large living room with gas fireplace, a kitchenette, an outdoor patio, and a bathroom with a soothing jacuzzi bath. Enjoy delectable vegetarian cuisine. Made from organic products. Many of the vegetables and herbs are harvested daily from the gardens of Ratna Ling to produce delightful meals reflecting the current season’s bounty. Meals are served buffet style in the Grand Dining Hall where you can cozy up to the stone fireplace or you may choose to dine outside in the Garden Pavilion where you will be surrounded by the beauty of nature. The Ratna Ling can accommodate gluten/wheat free, vegan/dairy-free, and food-allergy meal requests. Please notify us at the time of booking if you would like to make a special request. spot, we will happily reimburse you, minus any processing fees and deposit. If we are unable to fill your spot there will be no refunds. 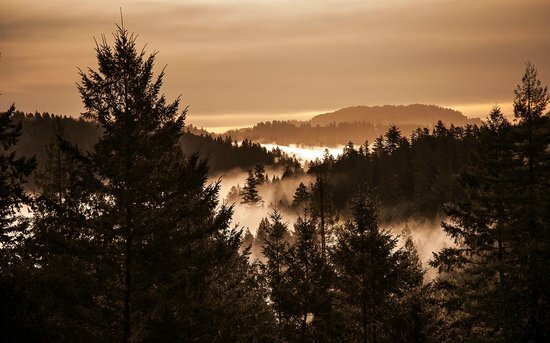 ​ Ratna Ling is a beautiful 2.5 hour drive north from San Francisco. If you will be flying, choose either SFO or Oakland Airports (nearly equal distance) and let us know as we would like to arrange carpools from the Bay Area. There is no public transportation, but car rentals and ride sharing is encouraged. Please note that Check in will be from 3-4p- please arrive on time and the retreat begins January 13 at 4p. The program ends at 2p on January 15. Claire discovered yoga after a car accident left her with debilitating injuries and pain. The first yoga class she stepped into changed the course of her life, yoga and meditation gave her the power to take her healing into her own hands. Many years later, Claire is humbled to have found this path. Yoga is not just a practice, but a lifestyle. Claire is an innovative yoga instructor whose classes are a balance of mindful flow, pranayama (breath work), and accessible meditation techniques. Her classes are challenging and playful...as she draws from many traditions. She teaches alignment based, creative flow classes with the intent to cultivate a deeper realtionship with the breath, body and energy. Claire has taught over 2,000 hours of public classes and workshops. She has studied with many teachers in many lineages, and is known to blend elements of Anusara, Iyengar, alignment therapeutics, Bhakti, Baptiste and Shambava Hatha yoga into her classes. Each class draws upon Claire's extensive practical knowledge of human anatomy and self-care practices towards the goal of optimal health and balance. Her classes are often thematic, and aim to integrate both subtle and nuanced alignment cues with breath awareness allowing for a deeper state of body awareness. 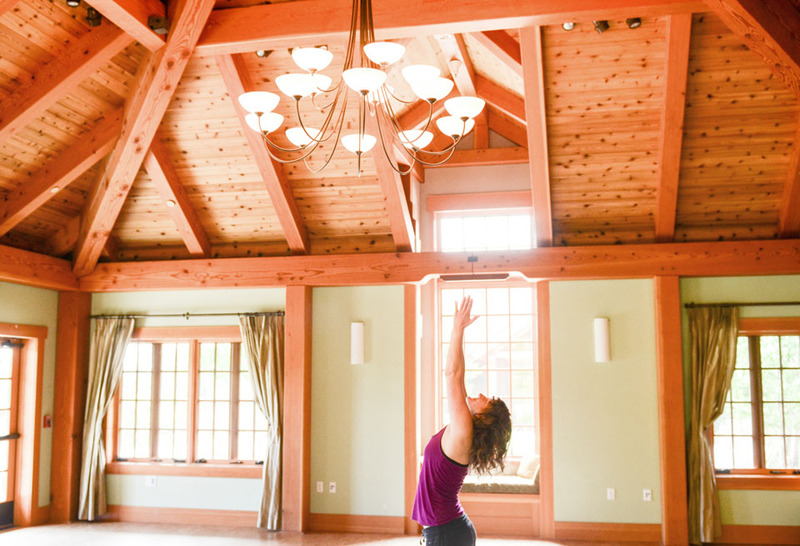 Her mission is to deliver a safe, creative and progressive space for yogis to grow and come into their power.